Isiah Factor | The Insite » CHAMILLIONAIRE: STOLEN BABY FOOD BROUGHT ME BAD LUCK! CHAMILLIONAIRE: STOLEN BABY FOOD BROUGHT ME BAD LUCK! 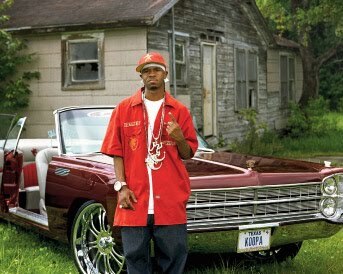 June 9, 2010 | Posted in Uncategorized | Comments Off on CHAMILLIONAIRE: STOLEN BABY FOOD BROUGHT ME BAD LUCK! THE MORAL OF THE STORY IS DON’T DO WRONG OR IT WILL COME BACK ON YOU! By The Insite: Houston rapper Chamillionaire says if you run across someone selling hot products you shouldn’t buy it. The multi platinum artist, who has been dogged by rumors of financial problems as of late, shared a story with his fans on Ustream Wednesday night. He says it was last week when he ran across an acquaintance selling hot baby formula. That’s right – food for babies – straight off the streets. Chamillionaire says he hesitantly bought some for his kid but that was only the beginning of the 5 minute long anecdote the rapper had to tell. He says once he bought the hot baby formula he was on his way in his drop top (convertible) Plymouth Fury. It’s the candy colored one he sports around Houston. Well, Cham says he was in the car alone on the Beltway 8 when the door on the passenger side flung open. He said it was like a “ghost.” That door he says was banged up and damaged. Chamillionaire said in the broadcast, “I shouldn’t have taken it.” He went on to say his mother had a dream and told him not to take anything for his baby. He said the incident was karma for Cham doing something he shouldn’t have been doing…The End!